Brothels in the Yoshiwara red light district in Tokyo at the tail end of the 19th century. The architecture at the time was heavily influenced by Western ideas, although Yoshiwara still had a unique Japanese feel to it. 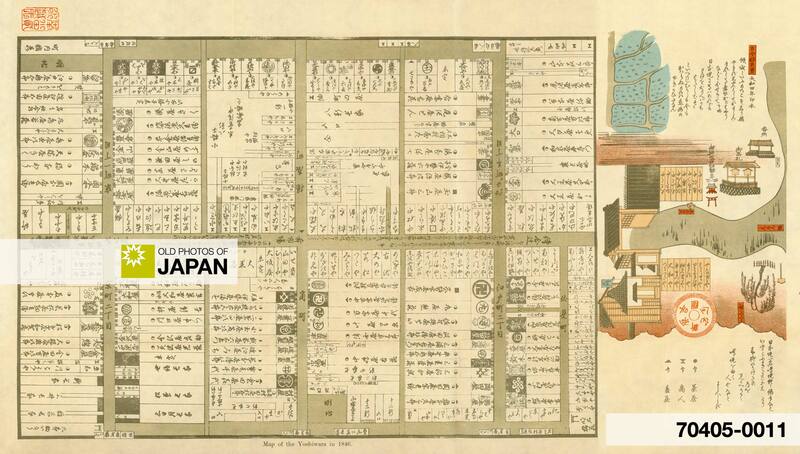 When Yoshiwara was first created in 1617, it was located near Nihonbashi. In the second half of the 17th century, it was moved out of the city to a spot nearby Asakusa and renamed Shin Yoshiwara (New Yoshiwara), but the shin was soon dropped. Over the years, Yoshiwara was repeatedly burnt down. Each time it rose from the ashes, albeit with a totally new look. The total number of fires that ravaged the quarters in its new location is almost too large to grasp. Between January 10, 1677, when the first fire took place, and March 15, 1896, shortly before this photograph was taken, no less than 34 fires were counted. After this photo was shot, fires would once again destroy Yoshiwara. The most devastating ones happened in 1913, 1923 and 1945. 1 De Becker, J. E. (1899). The Nightless City or the History of the Yoshiwara Yukwaku. Max Nössler & Co: 249-254. 2 As it is unclear at which brothel this photo was shot, the Google Map below shows the location of the former entrance gate, the Omon (大門), located in current-day Senzoku 4-chome, Taito-ku (台東区千束4丁目). You can also licence this image online: 70621-0002 @ MeijiShowa.com. I am so delighted and amazed at this collection of photographs. Almost every day I find a new treat in my in-box and you have all of this amazing extra information. 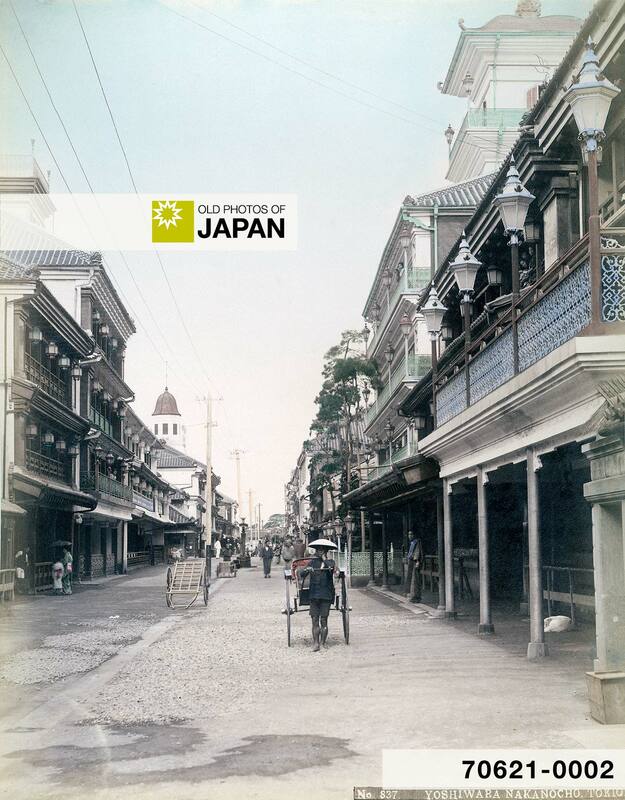 This period of Japan is so fascinating, and the photos are so amazing. I feel so fortunate to have discovered both of your amazing sites. I especially love the constant mixing of east/west styles – and with you information about the fires in Yoshiwara, this is truly a rare moment frozen in time. @Llyn Hunter: What a surprise to find you here, too. Thank you for your kind words! I just received your artwork and sent you an e-mail a few minutes ago.